Yeah, OK, enough-o-my blatherin' about Fleetwood Mac. But thinking about the evolution of the band, especially in context of Christine's role, I recognize that her songwriting remained remarkably consistent from the middle era through the big FM albums of the late 70s. And, for the most part, I always appreciate her songs. But in a way, her consistency gives me another standard (along with Mick & John) to evaluate the relative contributions made by the extraordinary guitarists of the middle period on one hand - and Bucknix on the other. And I can't help it: I listen to the wistful melodicism and the easy loping rhythms of B-N-era hits, and hear in my mind's ear what Spencer, Kirwan, and Welch might have contributed. I like my imagined versions better. I would rather see Neil Finn and Mike Campbell start an original band together. Yep, in the "old days" when big named players got together, it was considered a "Super Group"........with a new name. Now, it's common to see a former big named band, with only one or two original members in it, touring. Not saying that the talent and show won't be good, or even great, but it seems like a few folks are living off the name of their past band. Guess that this could be good, bad, or indifferent, depending on how one looks at it. Hey Deed, how are you. One band off the top of my head is The Marshall Tucker Band. One of my favorites back then, and unfortunately down to one original member now. Chicago is another one, but when Terry died, at least to me, the band Chicago wasn't the same. Poco falls on this list too. Numerous 80's and 90's bands have came through the KC area, and when looking at the line up, original members are slim or down to one or two. Again, not saying that the show won't be great, but it just isn't the same for me. Now when the subject of the "King of Twang" comes up, I look at that differently. I know that Duane had his band, and all were accomplishes musicians, and close and cherished friends, but the sound that got me right from the start, was "that" twang. Proteus, your affection for mid-period FW seems to be shared by some astute UK commentators. 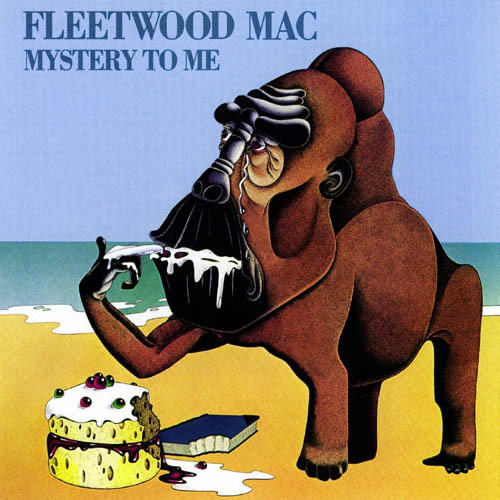 Most underrated Fleetwood Mac album ever from the middle period. Perhaps not as good as Bare Trees, but close. I love this album. McVie, Perfect/McVie, Fleetwood, Welch, and Weston. Always thought this was Bob Welch’s best album. Mystery to Me is a perfect album. Material, arrangements, performances, sonics; the care that was taken at every step (or the unlikely luck in alignment of the stars) is just astonishing. In its perfection it’s like an Eagles album (but with a soul). And it’s a colorful album in tone and texture. Bare Trees (as the cover aptly suggests) is more monochromatic - and possibly more affecting for its autumnal emotional weather. But it has more of a connection to the jamming Fleetwood Mac of previous years, and is therefore a little looser. I guess that makes it perfect in its own way, but it’s not the polished perfection of MtM. Its best material may be sturdier and more memorable, if less glossy. “Sentimental Lady” haunts beautifully - and “Dust” haunts bone-deep. That’s ageless and ancient-soul work from the very young Danny Kirwan (who, yes, excerpted a poem by a master for the lyrics) - but still. I put it up there with “Raglan Road” and “Hallelujah” for expression of something - I’ll spare us the English-major essay - deep and true and elusive. As with the other two songs, the melody and the mood do a good part of the heavy lifting. Kirwan’s guitar instrumental “Sunny Side of Heaven” is a gorgeous piece, and in its melodicism owes a lot to instrumental guitar masters who came to prominence a decade earlier. I’d love an album full of such material. The more I know of Kirwan, the sorrier I am that his life was derailed by drugs and rock & roll. Given his apparent emotional intensity, he would probably have had a stormy 20s in any time and place, but one can imagine other circumstances in which he might have survived intact. There’s such composure and repose in his work - I don’t think he had a rocker’s temperament. More like a Bill Frisell. I miss the 40 years of music he might have given the world had it all not gone bad. You are so right! Good call. Powdog, somehow I've totally missed Heroes! I don't know how. With just one guitarist, it certainly ought to be a Welch-fest. I'll listen to it today. Thanks for the reminder. I would like to keep this thread, if possible, equally about the benefits of having Neil Finn and Mike Campbell joining Fleetwood Mac in its most recent incarnation as it has been about the earlier days of FMac. Neil Finn is a wonderful songwriter, singer and guitarist. Here are a couple video clips that show off his great songwriting and singing. So right, Bob. I’m eager to hear what the next incarnation is gonna sound like. Mike Campbell will fit right in, but Neil has such a different vibe. It will be interesting. Just had to throw it out there with the above Stevie and Lindsey bashing. Stevie is a Goddess, and Lindsey is the man. The raw energy in this performance sends every hair on my body at attention, no matter how many times I listen to it. I hope the new version of Fleetwood Mac has some of this magic. PS. Neil Finn is in a league all his own, his voice is from the Gods! The history is on the record, and easier to discuss. Not to say the BN FM didn't make a ton of money - but Stevie is a goddess? Not in my pantheon! Peter Green had a special gift no doubt about it. Yet at the same time there is something missing from early Fleetwood Mac. A “jam” band with some amazing talent but lacking in the depth and level of soul. perhaps it was the LSD. By all account they should be ranked at the top of the greatest rock bands of all time, yet only a few aging hippies remember who or what they did. The fact that we have to be reminded “how great they were” speaks volumes. I suppose the “cocaine” Inspired FM had more of a lasting impression than the “LSD” FM. It is sad that the drug that inspired greatness took their genius. Have you LISTENED to the albums from, say, Future Games to Mystery to Me? That is NOT a jam band. The commitment to the song is complete. The material is excellent, the execution pristine. In any version of a fair world, that band would have been huge. For what it's worth, I don't think LSD did much to inspire the band's greatness in what I consider its golden era. It may have sent some of PG's compositions slightly askew - but from what I know of Peter and Danny, they were doing drugs more to treat some fundamental condition of their souls (self-medicating if you will) than to find inspiration. They certainly don't fit the mold of a "trippy" band - really ever. Depth and level of SOUL? We're on different planets, apparently. So, I'm not the only one that, when I tire of Stevie's voice, think she sounds like a braying goat, twirling, ever twirling towards freedom? And to be fair, that braying, twirling goat sold 100 million records more than I ever will, so I'll just shut up, curl up like a baby, and admit she's a talent. No, I would say that Nicks' voice is no more annoying than Janis Joplin's voice, Tom Waits' voice or Leonard Cohen's voice. I've acquired a deep appreciation for all of them, but it didn't necessarily happen overnight. Personally, I think Nicks' voice is the best it's ever been... the coked-out wild child years are a distant past and I really enjoyed the hell out of her 2011 "In Your Dreams" album. All that aside, I really think Nicks missed her calling-- the timbre and range of her voice is much more suited to country music. I think that if she had pursued that direction, she would have been a star among the ranks of Reba Mcintyre and Martina McBride... you know... in the days before country music almost died completely. 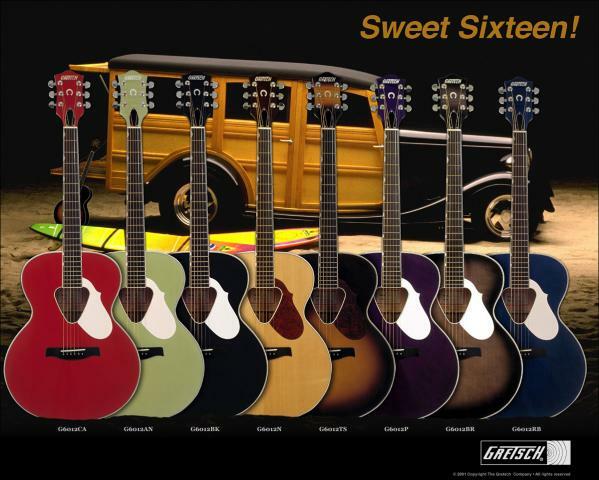 Just what Gretsch guitar is that that Mike Campbell is playing? Is that something from the Fred Gretsch Enterprises era? Look at the headstock -- it looks nothing like the old Rancher headstocks. The logo looks silk-screened on there. White pickguard?? I have never seen that one. It's 6012 Sweet Sixteen. Pre-FMIC. Thanks, TP! I knew it had to be pre-FMIC.